Dr. Compton is an Associate Professor and the van Ameringin Endowed Chair in the Department of Family and Community Health at the University of Pennsylvania School of Nursing, and a Fellow of the American Academy of Nursing. Her areas of clinical expertise are opioids, addiction and pain. 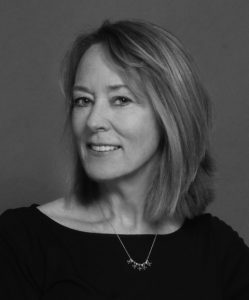 She has published extensively in the scientific literature on substance use disorder in chronic pain patients on opioid therapy, and the pain responses of opioid addicts with and without chronic pain. Having worked in several public treatment settings, she is expert in the use of methadone, buprenorphine and naltrexone in the treatment of opioid use disorder. She has served on FDA, SAMHSA and NIH expert panels on prescription opioid abuse, and contributed to position statements from the American Pain Society, College on Problems of Drug Dependence, and the American Society of Pain Management Nurses on pain management for patients with addictive disease. She currently serves as principal investigator on a NIDA-supported grant exploring hyperalgesic responses in individuals undergoing opioid taper. Melanie Simpson is the Pain Management Team Coordinator at The University of Kansas Health System. She has worked in pain management for over twenty-three years. Dr. Simpson has Bachelor’s Degrees in both Nursing and Human Relations, a Master’s degree in Health Services and a Doctoral Degree in Health Administration. She is nationally certified in Pain Management, Oncology, Hospice and Palliative Nursing and is a Certified Pain Educator. 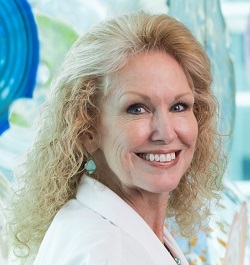 She is active both locally and nationally in several professional organizations including; American Pain Society, State Pain Policy Advocacy Network, and she is a Past-President of the American Society for Pain Management Nursing. Melanie is the recipient of the 2018 ASPMN Advocacy Award Pain Management.